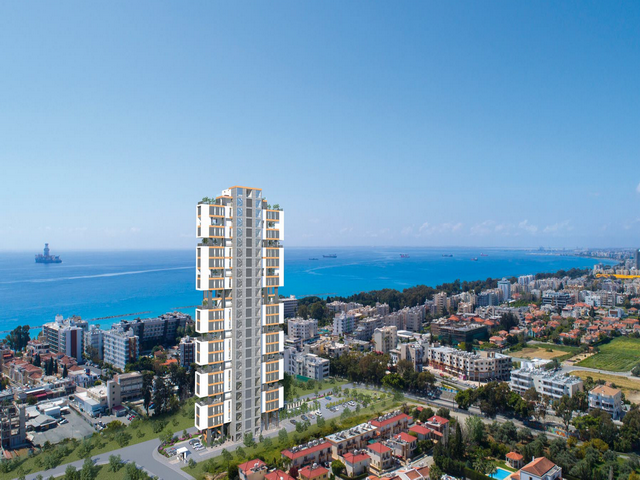 The project is a stunning multilevel high rise condominium, perfectly located on the coast road in the Germasogeia area of Limassol – Cyprus, and within walking distance of glorious sandy beaches. 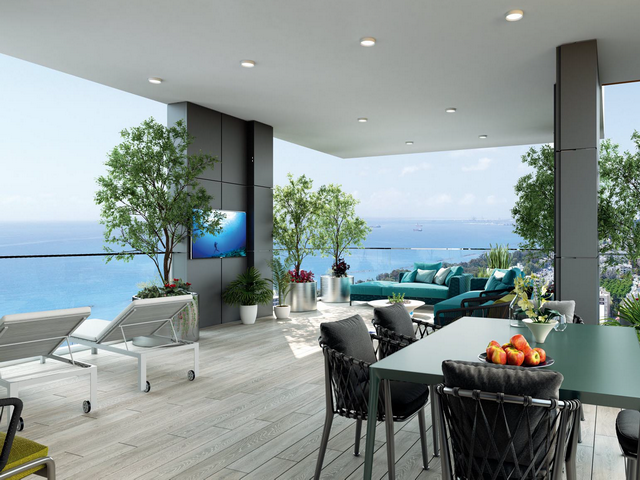 The spacious apartments enjoy panoramic views of the sea and the city, and are just perfect for enjoying a sun-drenched Mediterranean lifestyle. 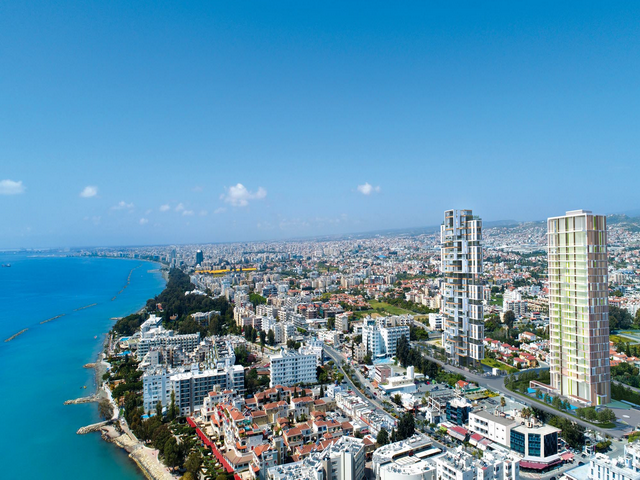 With twenty-five storeys and a total of 100 meters high, the project is the highest residential building in Germasogeia and commands unique city & sea views. 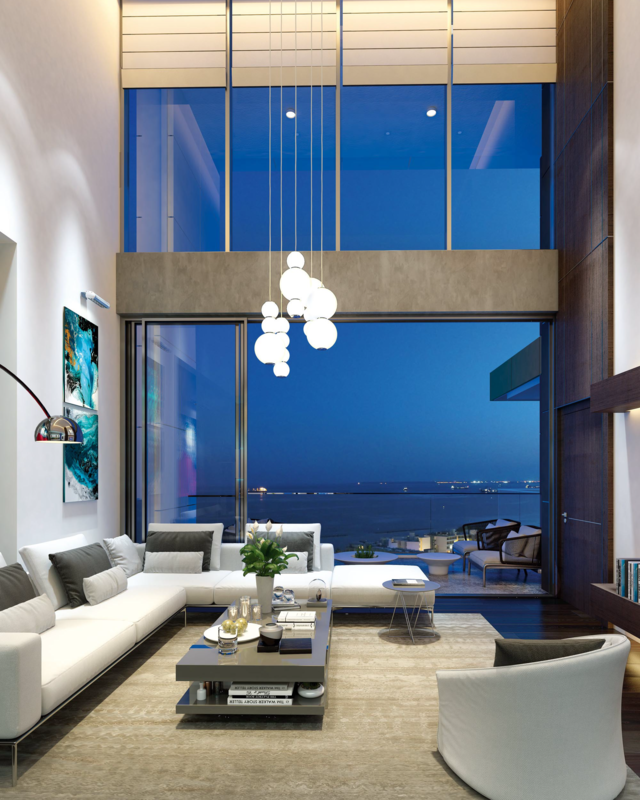 It’s the epitome of inspirational landmark living, adding a new dimension to the locality. 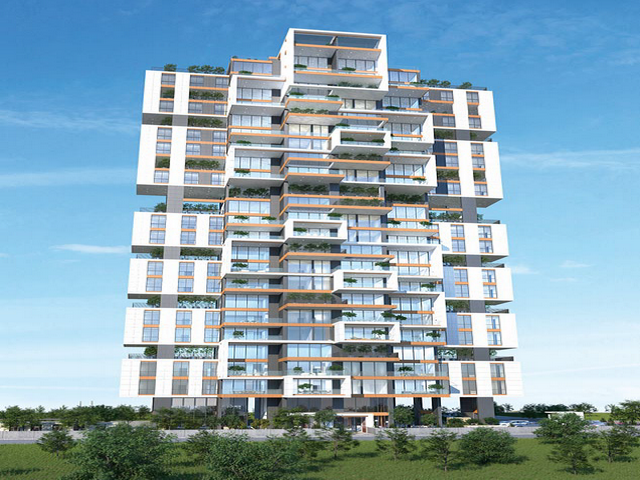 As would be expected in a property of this calibre, the project boasts the best in upmarket facilities – residents’ swimming pool with sun terrace and bar; gym and sauna; children’s play area; high-speed liﬅs, and an imposing atrium lobby with on-site butler. Value-added services are also available on request, including in-room food deliveries, as well as laundry, cleaning, handyman and babysitting services. 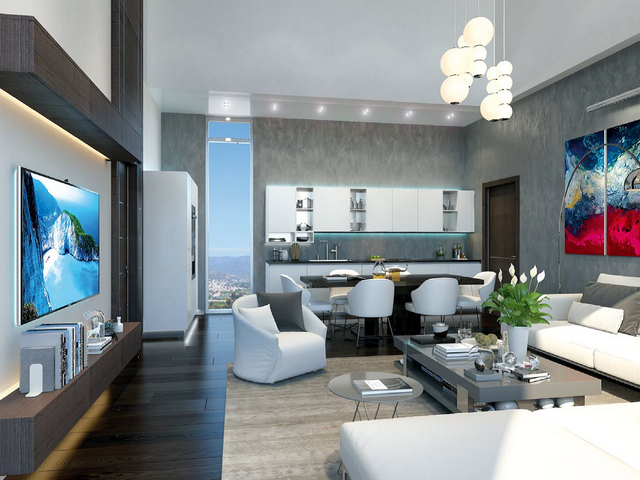 The high rise apartments is the premier residential development providing the advantages of central location, security and inspiring architecture. 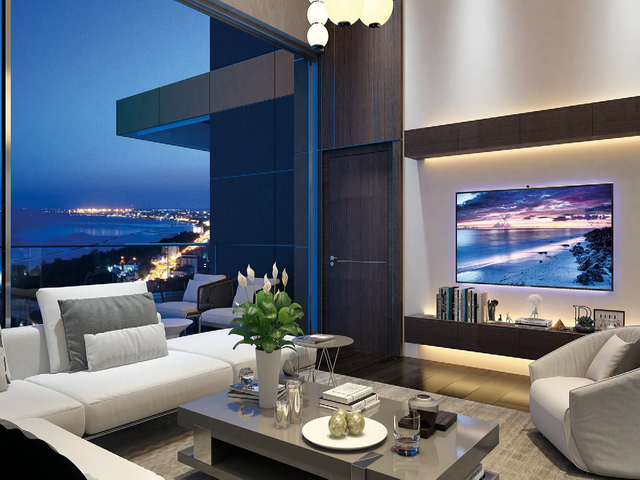 This impressive 100m high tower comprises 37 apartments and offers a variety of 2, 3 and 4 bedroom apartments with 3.40m clear ceiling height, double height loft apartments with 7.30m clear ceiling height and roof garden, and 2 penthouses each with roof garden on the levels 21, 22 & 23. 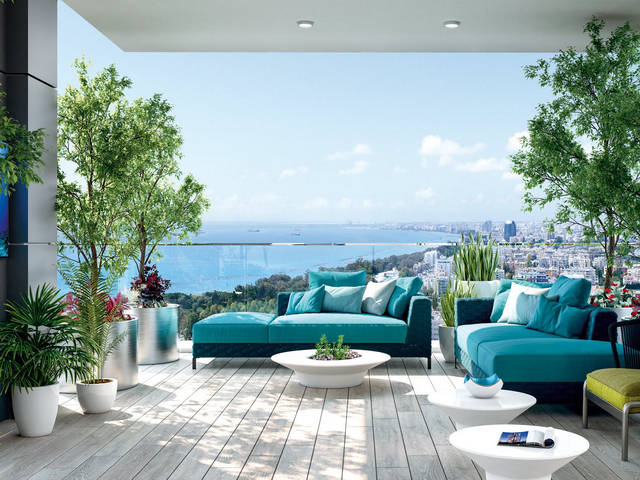 All apartments have extensive south facing covered verandas or roof gardens and views to the sea. 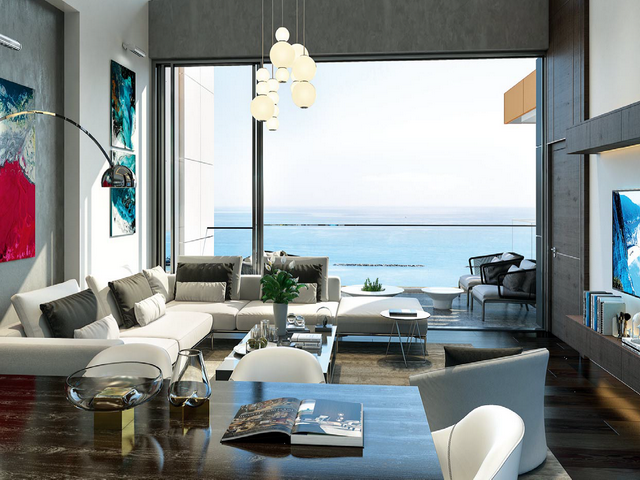 The project is set just back from the seafront road and a short walk from sandy beaches, classy coffee shops and fine restaurants. It’s also close to designer shops and boutiques, banks, 5-star hotels and within easy reach of schools and first rate medical facilities.